Ever since I was kid I have had a love-hate relationship with onions of any kind. Don’t know what it is but I can’t seem to bring myself to eat them if I see them in my food. I gag and lose my appetite right then and there. Now, don’t get me wrong, I do like the flavor they add to a recipe but I just can’t eat them whole, specially if they are in big, nasty chunks. Because of this, my mother had to blend them with tomatoes and garlic so she could sneak them in my food, which in Colombia is what we call “aliños” or seasoning, and I’m sorry to say that that’s the only way I can eat them. Either that or cook them first and then use and hand blender to make them disappear. Out of sight, out of mind. It’s a sad situation either way. Aliños are pretty much a blend of different vegetables that add extra flavor to any dish. You can add them in soups, stews, beans, marinades, you name it. 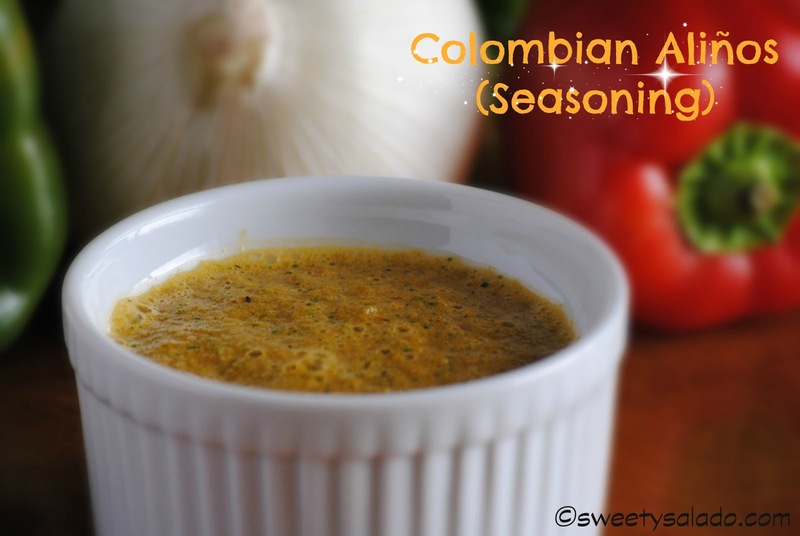 A good aliños recipe will have the right amount of peppers, onion (yuck), garlic, cumin and cilantro and it will give anything you’re making a shot of Colombian flavor. You can put the sauce in an airtight container and keep it in your fridge for up to one week or do as I do, which is freeze it in an ice cube tray, then put the cubes in a Zip Loc bag and keep it in the freezer as long as you want. Then just use about 2-3 cubes each time you want to add it to whatever you’re making. 2. You can store this sauce in an airtight container in the refrigerator up to one week. 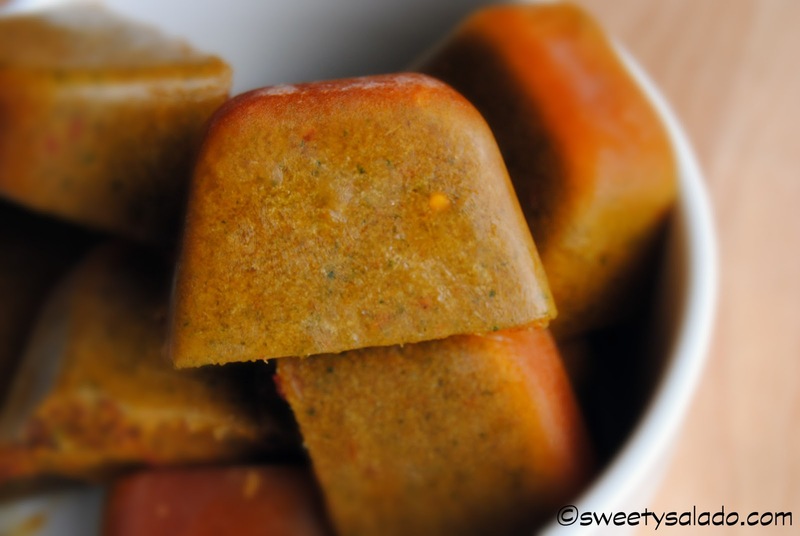 You can also freeze it using an ice cube tray and then putting the cubes in a Zip Loc bag to store in the freezer.